Neatly dotted with Austrian diamonds on the Gold base, this pair of earrings is the match for every dress. Matching with your dress, during occasions, it will add that special charm to your face and in daily use, it will ensure the continuity of that special charm. 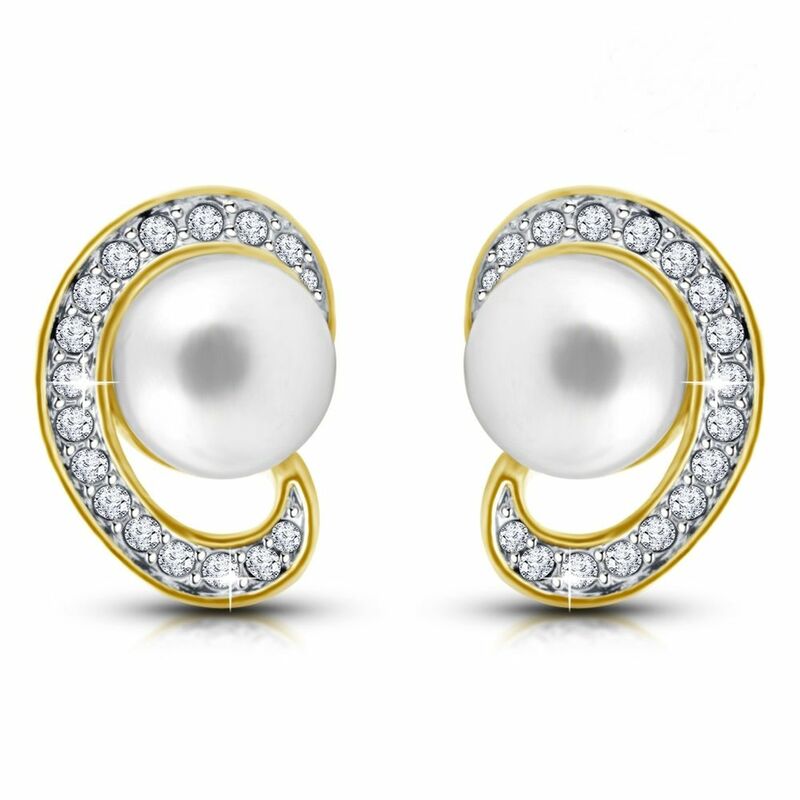 Embellished with Austrian diamonds, these earrings are made using 18 karat Gold and Rhodium plating. Quality of these glow adding trinkets are assured with the use of best quality alloys and Austrian diamonds. This lite weight jewellery is skin friendly and anti-allergic. They will become the perfect and lasting addition to your collection.